When Dorothy Barrera tried to have her husband's ashes buried at a cemetery in her rural Texas town, the cemetery refused. When she asked why, Barrera says, she was told "because he's a Mexican," according to a civil complaint filed against the allegedly "whites only" cemetery. Instead, Barrera was told she could "go up the road and bury him with the niggers and Mexicans," by the Normanna Cemetery Association caretaker Jimmy Bradford, according to the complaint, which was filed Friday. Normanna, about 80 miles south of San Antonio, has a population of 113 people, 55 of whom are Hispanic. There are two cemeteries in the town—the San Domingo and Del Bosque cemeteries -- that fall under the Normanna Cemetery Association, the defendant in the case. "It is widely known to Normanna residents that the San Domingo Cemetery is 'whites-only,' and that the Del Bosque Cemetery is for Latinos and other non-Anglos. No Latinos are buried within the gates of the San Domingo Cemetery," the complaint, filed in March, states. The San Domingo Cemetery is more than 100 years old and initially was a private family cemetery. In 1977, it was turned over to the Normanna Cemetery Association for the use of "the people of Normanna," according to the complaint. Barrera and her late husband, Pedro, lived in the town for 15 years. "Post-mortem racial segregation in the 21st century is astounding," said Thomas A. Saenz, President and General Counsel of the Mexican American Legal Defense and Educational Fund (MALDEF), which helped bring the lawsuit. "This case demonstrates how regrettably deep the roots of anti-Latino prejudice are in this country and in Texas." The cemetery does have one grave with a Hispanic surname -- that grave, dated 1910, is separated from the other graves by a chain-link fence, MALDEF said. In March, the cemetery ultimately agreed to allow the remains to be buried in the cemetery after intense criticism from local media—but Dorothy Barrera countered, saying the funeral caretaker showed up at her house with armed officers, intimidating her. Her husband's ashes were never buried in the cemetery. READ MORE: Why Is The Ghostbusters Trailer YouTube's Most Hated Video? Texas has discrimination laws on the books for cemeteries, including one that specifically states that "a cemetery organization may not adopt or enforce a rule that prohibits interment because of the race, color, or national origin of a decedent." 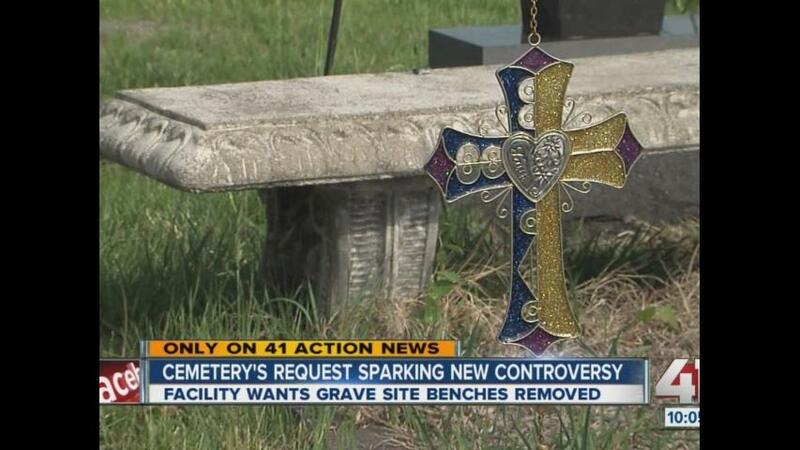 But because the San Domingo Cemetery is a "community cemetery," that law doesn't apply to it. "This is morally wrong," said John Martinez, Commander of the American G.I. Forum of Texas, Inc., which also helped bring the lawsuit. "It happened in the 1940s and 1950s and, in today's time and age, I can't believe this is still happening to Hispanics and Hispanic veterans." The post This Texas Cemetery Is Getting Sued For Being "Whites Only" appeared first on Vocativ.